On Saturday, May 19, candidates for Governor met at the Garden Pavilion at Penrose House in Colorado Springs for a debate sponsored by the Colorado Springs Gazette, the publication formerly known as the Colorado Statesman, and El Pomar’s Forum for Civic Advancement. Republican and Democratic candidates for Governor participated in separate discussions, which served as the center point of the inaugural and (hopefully) annual Colorado Civic Barbecue. We went back through the video of Saturday’s debate (thanks, KKTV!) 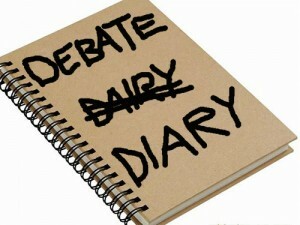 for another of our world-famous debate diaries. Up first: the Republican field of candidates for Governor. *NOTE: When we do our “live” Debate Diaries, we normally list the most current update at the top of the page. But because we’re posting this entire Debate Diary at once, it makes more sense to write it out chronologically from the top-down; we’ll break out segments according to the timestamps provided by KKTV in order to make it easier for you to track down specific clips. As always, unless it is in direct quotes, consider all statements paraphrased in the interest of time and/or the prevention of carpal tunnel syndrome. All four Republican candidates for Governor are sitting at a table in front of a large slide promoting The Colorado Civic Barbeque (“Apple Pie, Issues, Banjos” is the actual slogan). From left to right: Former Parker Mayor Greg Lopez, businessman and former one-term lawmaker Victor Mitchell, businessman Doug Robinson(more commonly known as “Mitt Romney’s Nephew”), and State Treasurer Walker Stapleton. Our candidates are divided on wearing a tie for this debate. Lopez is dressed in a gray suit and gold-ish tie. Mitchell is rocking a grey suit with a grey-and-red striped tie, and Mitt’s Nephew is wearing a dark blazer over a white/cream-colored shirt. Stapleton has selected a look favored by the lunchtime crowd along Denver’s 16thStreet Mall: Dark blue sport jacket and light-blue shirt. Thankfully, none of our candidates are trying to pull off wearing a bolo tie. Also on the stage – though sitting at a separate table – are debate moderators Joey Bunch (reporter for the Colorado Springs Gazette) and Aaron Harber (host of “The Aaron Harber Show,” which can supposedly be found on cable-access television stations in multiple states). Harber briefly runs through introductions before handing the microphone off to Bunch to get the debate started. First question is about transportation and whether Colorado already has enough money in its budget to fund future transportation projects, which is something many Republicans in the state legislature have argued in recent months (Bunch estimates funding needs of at least $1 billion per year). Lopez then talks more about budget priorities and concludes with this: “Just imagine for a second what it would be like if we didn’t have E-470 to take us to the airport.” The room is silent for a moment as Lopez abruptly stops talking; he gives a satisfied look as though this was some sort of “mic drop” comment. We’re off to a very weird start already. In other words, Lopez answered a question about how to prioritize government spending by saying that it is important to prioritize government spending. Good thing he’s here. It’s Victor Mitchell’s turn to answer, but first, Harber takes 3 days to re-explain the question as being about managing priorities and explaining where funding could be cut in order to focus on transportation and infrastructure needs. We get a close-up view of Mitchell here — he has deep bags under his eyes and looks like he hasn’t slept since March (which, coincidentally, is when Harber started talking). “I’ve been very specific. I believe we can get $2 billion into roads and infrastructure in the first year of my administration without raising taxes or fees.” Mitchell says the Department of Transportation is poorly mismanaged, and touts his own background and leadership experience as the solution. Mitchell says he would limit CDOT’s “overhead” costs to no more than 20%, which he claims will create $700 million that can be paid directly to contractors for roads and infrastructure improvements. “We’re also going to deploy all of their cash and cash equivalents as currently in their balance sheets,” says Mitchell, which he estimates will “clear up” about $1 billion. Finally, Mitchell says he will change the mission of the legislative audit committee from “financial-based auditing to performance-based auditing,” which he believes will save 3-4% of the budget and free up another billion dollars in the budget. You certainly cannot accuse Mitchell of not providing a specific answer to this question, though we’d by lying if we pretended to have understood anything he just said. Robinson says he disagrees with business leaders in Colorado who are pushing for a sales tax increase in November in order to fund transportation needs, but he is in favor of a proposal to create $3.5 billion in new funds from a bond measure. He finishes his response with a local appeal in voicing his opposition to a CDOT plan to create two new toll lanes on I-25 in the Colorado Springs area. Harber tells Stapleton that it is his turn to answer the question…but then Harber adds another question by asking the candidates if they support a proposal to increase sales taxes for transportation needs. Debates don’t need to be this complicated. Stapleton says we need more dedicated revenue streams for transportation and voices support for bonding, but then he proposes cutting 10% from all state departments’ “executive overhead,” which he says “involves everything from staplers to conferences and consultants.” According to Stapleton, this would save $150 million. Stapleton also wants to fix “the fraud and abuse” in our medical marijuana system, which he says will bring in an unidentified amount of money for infrastructure. If you’re counting at home, Stapleton just outlined his proposals for saving $300 million – which is nowhere near the estimated billion dollars of money needed to be spent each year on transportation – and says “the money is there” to pay for everything else through a combination of the Republican tax plan and vague changes to taxation in the medical marijuana system. Did we mention that Stapleton is the freaking STATE TREASURER of Colorado? Harber follows up by asking for an answer about that sales tax increase proposal for infrastructure. Stapleton replies that he is against the plan “because it’s a cart before the horse.” Stapleton chuckles quietly to himself as though he is very proud of this response. Mitchell says he is “strongly opposed to any new tax or bond increases” and then starts rattling off clichés about putting the government on a diet. Lopez says he opposes a sales tax increase being promoted by chambers of commerce. “I don’t think they truly realize that a sales tax increase is going to cripple and kill rural Colorado,” he says. That seems a bit extreme. “I also feel that there is money in the budget that we can prioritize and do it correctly.” Greg Lopez is pro-prioritization. Bunch gets the microphone now, and says he is going to ask each of the candidates an individual question “because I think they owe you people an answer.” Bunch says he “apologizes in advance if you are offended by the questions.” That’s not a good sign of things to come. Bunch’s first question is for Lopez. He wants Lopez to explain why he supported the idea of a “Red Flag” bill at a recent mental health forum but changed his position after it received some negative reviews from Republicans at the legislature. Lopez says that he did not support “Red Flag” legislation at the aforementioned mental health forum, then he gets rhetorical. “Do you think a person who has mental health problems should have access to a weapon? And the answer is, ‘no, of course not.’ But that’s not what the ‘Red Flag’ bill is about. Yeah, we’ve got nothing here. You’re on your own figuring out this answer. Bunch has a different question for Victor Mitchell about donating money to “anti-gun violence candidate” Ken Toltz (a Democrat) when he ran against Rep. Tom Tancredo (a Republican) in 2000. “Are you a different guy now?” This is one of the dumber questions we’ve heard anyone ask in a debate in the last 10 years, and it doesn’t go over well. Bunch is clearly flustered by the response to his stupid question and fumbles around uncomfortably. It appears as though we are abandoning the idea of asking individual questions of candidates, at least for the moment. Walker Stapleton gets the first crack at this question. He scrunches up his face and looks up to his left as though he is trying to recall the answer to a math problem. Bunch jumps back in here and asks if Stapleton would support a ballot measure to repeal legal marijuana. We’re only 20 minutes into this debate and any potential structure has fallen apart; the moderators are jumping around from candidates and questions like an elementary school square dance. Stapleton says that he would not support such a ballot measure and wants to focus instead on regulatory reforms. Same topic for Doug Robinson, who talks about his opposition to marijuana legalization and his efforts to “put guardrails” on the industry through a nonprofit organization he created with his wife. Robinson says he would require medical marijuana prescriptions to come from a person’s “existing doctor” rather than a separate doctor who specializes in marijuana prescriptions. 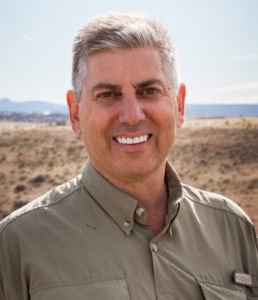 Victor Mitchell is up next, and he starts by saying that his campaign has visited “63 of Colorado’s 64 counties.” This is the only moment in the debate where Harber or Bunch should interrupt with a new question: Which county did Mitchell not visit? The rest of Mitchell’s answer deals with problems of taxing and distributing marijuana revenues. Lopez then gets to respond, and says repeatedly that he will “stand tall” in opposing to legal marijuana. Lopez makes a big deal out of the term “recreational marijuana,” saying that we should really refer to it as “retail marijuana.” It is unclear why this is important. Bunch moves the debate in a different direction now with a question about whether candidates would support changes to TABOR in order to help fund public education in Colorado. Robinson says this question will be one of the central debates in the General Election, and says that all of the Republican candidates on the stage are “defenders of TABOR.” On the issue of education funding, Robinson says it is a personal issue for his family because his 25-year-old son moved back to Colorado to become a teacher and had to live in their house due to his low salary; Robinson may have a secret motive to make sure that his son never has a girlfriend. Robinson proposes an incentive system whereby the state will match, dollar for dollar, money that is removed from administrative purposes in school districts and redistributed to classrooms; he does not explain where this money would come from. Um, yeah…no, Greg, that’s not the correct answer. You’re close, though! “I think we really need to focus on the children, and are they learning.” Indeed. New question from Harber: Do you support free access to full-day preschool and kindergarten programs, and if so, how would you fund such a thing? Lopez answers by saying that there are already programs in Colorado – including faith-based programs and daycare centers — that provide preschool and kindergarten programs, and therefore we don’t need to offer full-day preschool and kindergarten. This is not at all true. Mitchell says he does not support this idea, but that it should be decided on a local level rather than statewide. Harber interrupts and asks how to provide rural school districts with the resources they need to be competitive in education funding – again, we’re all over the place with these questions. Mitchell responds by saying that we should focus funding on vocational training in rural schools. “And where is that money going to come from?” asks Harber. Mitchell says that we shouldn’t give a billion dollars in economic incentives to a company like Amazon.com, but instead should focus these incentives on rural Colorado schools. As Harber points out, “I think we may have spent all of that money on transportation in our prior questions.” This might be the best line of the day. Back to the preschool/kindergarten question. Robinson says he does not support this idea because Colorado does not have the money to pay for it. Kudos to Mitt’s Nephew for a straightforward answer here. Stapleton answers that he supported legislation a few years ago that would have used venture capital funding from the private industry for preschool and kindergarten programs. It’s not clear what he’s talking about here. Stapleton then pivots to say that he supports “competition” in education and talks about how much he loves charter schools. This is not at all relevant to the question. Uh-oh. Joey Bunch wants to get back to those “individual questions” (like his weird earlier question for Mitchell about donating to a Democratic candidate in 2000). Stapleton looks absolutely terrified knowing that he’s next…but first, a question for Robinson. Bunch asks Mitt’s Nephew if people should think that his campaign is not as strong as Stapleton’s campaign because Stapleton qualified for the Primary ballot through the state assembly process. Joey is really cornering the market on stupid questions today. Robinson gives a direct response about how he thought he was at too much of a disadvantage trying to make the ballot when he wasn’t already an elected official, but also says that he thinks the petition process needs to be changed because it is too fraught with problems. Harber asks a new question about so-called “sanctuary cities.” Stapleton answers by saying that his campaign has a lot of support from county sheriffs around Colorado, and therefore he doesn’t like sanctuary cities, or something. Robinson says that Democrats want to make Colorado “a sanctuary state.” Robinson says that he would meet with mayors of major Colorado cities and ask them how they plan to comply with federal laws. For a guy who has been pretty good about giving direct answers thus far, this feels like a punt. Mitchell acknowledges that the Governor cannot force cities to abandon “sanctuary city” policies, but says he would cut off funding for these cities through the budget via the state legislature. This is completely improbable. Mitchell also says that he supports holding local officials liable via civil lawsuits for not enforcing federal immigration laws (this kind of legislation has already been proposed in Colorado but has gone nowhere). Mitchell then launches into a speech about how he is different from his opponents because he is “not a politician.” We won’t mention that Mitchell is the only person on stage who has been elected to the state legislature, but Harber does! Mitchell says, “that’s not fair at all.” Nobody who is still paying attention would agree. Ugh: Lopez says he opposes sanctuary cities and uses this opportunity to pull a pocket-sized Constitution out of his jacket pocket. He says he carries a copy of the Constitution wherever he goes. Neat! What else is in your pocket, Greg? Lopez is asked about what he would do to combat gun violence. Lopez says “we have abandoned God” and says that the Governor should do more to talk about being nice to each other. No real answer here. Mitchell says he will bring in a bunch of experts from law enforcement and mental health to figure out why gun violence is increasing. Harber cuts him off when it is clear that he has no intention of providing an actual response. Mitchell is irritated by this. Robinson says that Democrats want to take away our guns. He says that schools need to be hardened and that we need armed security in every school. He adds that he supports a “Red Flag” bill that makes sense – but not the bill that was recently discussed in the state legislature. He does not elaborate. Same question for Stapleton, who seems to be chewing on something – ice, maybe — and isn’t ready to answer. After a brief stumble, Stapleton says he opposed a bill about transportation funding and a bill about creating health exchanges. Mitchell says he would have opposed a bill about PERA reform. New “lightning round” question: Would you invite President Trump to campaign with you? Mitchell says, “I don’t know how to answer that…I’d have to think about it some more.” For the record, Mitchell has already publicly said that he would not campaign with Trump. Robinson says he would invite Trump to campaign with him. Next question(s): Which Democrat do you expect to face in November, and which Democrat do you hope to face in November? Stapleton says the Democratic nominee will likely be Polis. Robinson says Polis for both questions. Mitchell says Polis. Lopez says Polis. Walker Stapleton finally gets his individual question from Bunch, and it’s about PERA. Bunch asks if he did support the legislation recently passed in Colorado, and if he would have signed the bill as Governor. “I’m not surprised that the Democratic leader of the House did not give me any credit…I would have hoped that if I was Governor that we would have had a better bill.” Stapleton says he would have signed the bill despite deep misgivings, which makes it unclear why he would want “credit” for the passage of legislation that he didn’t actually like. Harber allows everyone else to answer the same question. Robinson says he would have signed the bill even though he doesn’t think it does enough. Mitchell doesn’t answer directly and instead outlines his own PERA reform proposals. Lopez answers with a dig that may or may not have been targeted at Stapleton. “Eight years. Eight years we’ve been talking about this, and no leadership.” Lopez says he would not have signed the bill but would have called a “special session” (because that worked out so well the last time). Harber asks an extremely long-winded question about a few local municipalities in Colorado that are suing oil and gas companies for allegedly hiding negative impacts of Climate Change. Harber wants to know if any of the candidates believe that the State of Colorado should back the lawsuit. Obviously all four candidates are going to say ‘No’ – and they do – but Stapleton’s comments are interesting. Both Robinson and Mitchell also take a moment to praise the oil and gas industry, though with different numbers for backup. Robinson claims the industry employs 100,000 people in Colorado; Mitchell puts that figure at more than 200,000. Harber asks a question about protecting residents and homeowners from harmful effects of oil and gas drilling. 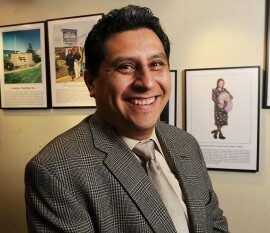 Lopez offers a confusing answer focused on his concern over zoning decisions that allow residential communities to be constructed close to drilling sites; as most people with even a passing understanding of this issue in Colorado could explain, the problem for residential communities has been the exact opposite – drilling is often approved near existing communities. Lopez claims to have unique insight into this issue “as a former mayor,” but he quite obviously has no idea what he’s talking about. “I think the state is doing an excellent job about how we are monitoring and providing safety for that industry.” You sure about that? Robinson says that we should not have individual local restrictions on oil and gas operations. Stapleton says “this is a big reason why I’m running for Governor.” He has started at least three other answers with this phrase. 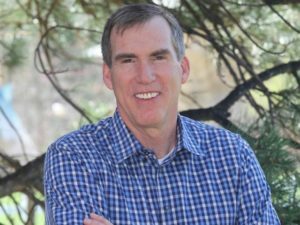 Stapleton bashes a renewable energy plan proposed by Jared Polis, saying the Democrat’s plan would cost Colorado $32 billion and 230,000 jobs. Lopez is now the only Republican on stage who has yet to toss out a wild number relating to oil and gas industry jobs. Apparently we’re doing another “lightning round” with Joey Bunch. First question: Would you have voted to expel Republican state Sen. Randy Baumgardner over multiple allegations of sexual harassment? Lopez answers ‘No,’ then says, “You know, there was a day when men used to respect women. We used to open doors for them. We used to take care of them. We’ve lost that. It’s time for the men to get back on track and remind ourselves that we need to respect every single woman out there, and we need to let our young men know that that is the expectation. If we do that, we won’t have these issues.” It’s worth a reminder that this is coming from the same guy who earlier this year released a campaign video talking about his own history of domestic violence. Mitchell says he would have voted ‘No.’ “We don’t just railroad people in this country. Accusations aren’t good enough.” We’ll let that sit here without comment. Stapleton sure goes out of his way to make it known that somebody might be investigating him for something. This was easily the most bizarre moment of the entire debate. Harber asks a question about affordable housing. “We’re not a command and control government,” says Mitchell, who advocates for getting rid of the “construction defects law.” Mitchell says an overreach in protecting federal lands has also driven up housing prices. Lopez: “When you talk to developers, you find out that there are a lot of costs that go into the development of land.” Lopez has this weird tendency to talk about every issue as though he’s the first person to ever spend time looking into the subject. Lopez concludes by saying that he doesn’t know how to solve the problem of affordable housing, but he thinks it is very important that Colorado doesn’t turn into California. Robinson says government is the problem and that private industry can come up with solutions. At long last, we have reached closing statements. Walker Stapleton is up first. Mitchell starts his closing statement with a personal story. “41 years ago I was sleeping on a floor taking care of a disabled single mother. And what an incredible state and nation we have that 41 years later I’m running for Governor.” Mitchell sprints through a bevy of issues and recommendations, then says he is the only major candidate refusing any special interest money. Mitchell also says he is the only major candidate refusing any political endorsements, which really just sounds like a way to explain not having any political endorsements. There were several questions in this debate that we could have done without in order to spend more time talking about something important. Victor Mitchell has clearly thought through most of the issues, but his answers were often too wonky to be memorable. We can confidently report that Greg Lopez has no idea what he is doing; he has no business being on this stage. 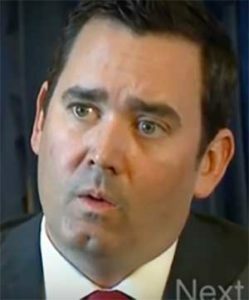 Walker Stapleton seemed prepared for most of the questions he received, but he had a few bizarre responses that are worth a follow up – particularly his strange rant about George Soros making open records requests of his office as an answer to a question about sexual harassment at the state capitol. If we had to pick a winner here, we’d go with Mitt Romney’s Nephew (Robinson), who was consistently the only candidate to offer realistic and easy-to-understand answers (though he had his troubles, too). He didn't say it explicitly, but the simplest explanation is that he feels solidarity with Randy. Asked whether he, based on the evidence provided by an independent invastigation into accusations of workplace sexual harrassment, would have voted to expel Sen. Baumgardner, Walker immediately and without prompting linked that situation with his own frustration dealing with open records requests. Walker perceives that as his being investigated for no reason at taxpayer expense…just like Randy. He understands the persecution of having to spend time defending your actions and filling out forms and providing documents. Sure you should be held accountable if you did anything wrong, but he sure didn't… and neither did Randy. Mitt Romney's nephew has always seemed to me like he'd be the most formidable opponent in the wider electorate, if only he weren't Mitt Romney's nephew and could actually get there. The Battle of the Mopiest Gene Pools? . . .